Since I began scrapbooking, I have been spent almost 100% of my time and energy on creating physical scrapbooks. However, I know that not everyone has the time to put together a scrapbook with printed photos, paper, and embellishments (apparently I don’t either, considering I just now finished the scrapbook for a trip from over two and a half years ago). I am finally stumbling into the world of digital scrapbooking and can’t wait to share what I’ve come up with! It’s a lot quicker and a lot cheaper. I love how I can choose the size of the pictures without ordering several options. I can also swap pictures very easily. I’m looking forward to spending more time on the digital side of scrapbooking, but I am sure I will never give up the physical scrapbooks. Anyway, during our visit to Solvang, Ryan and I wine tasted in several areas in the Santa Ynez Valley – Solvang (wineries that were not downtown tasting rooms), Los Olivos (downtown), Foxen Canyon (Los Olivos), and Lompoc (the wine ghetto). On past trips, we have also tasted in downtown Solvang and Santa Maria. Here are a few pages that I made (my first digital pages!) with pictures from our trip. I started out with some background “paper” that I created – two using pictures we took and one using Adobe Illustrator. Left: Created from a picture taken at a vineyard in Solvang, CA; Center: I took a picture of a bar at one of the wineries we visited. I used a few copies of the picture to fill the page; Right: Created in Adobe Illustrator based on the Danish-style buildings throughout Solvang. 1. These pictures were taken while wine tasting, and I wanted to stick with the traditional mix of green and purple to accompany them. Nothing too fancy (expect for the gorgeous font – Some Weatz Swatches). I love rounded corners, so I incorporated that easy technique to this page. 2. This next page is so completely different than any wine tasting page I’ve ever envisioned. 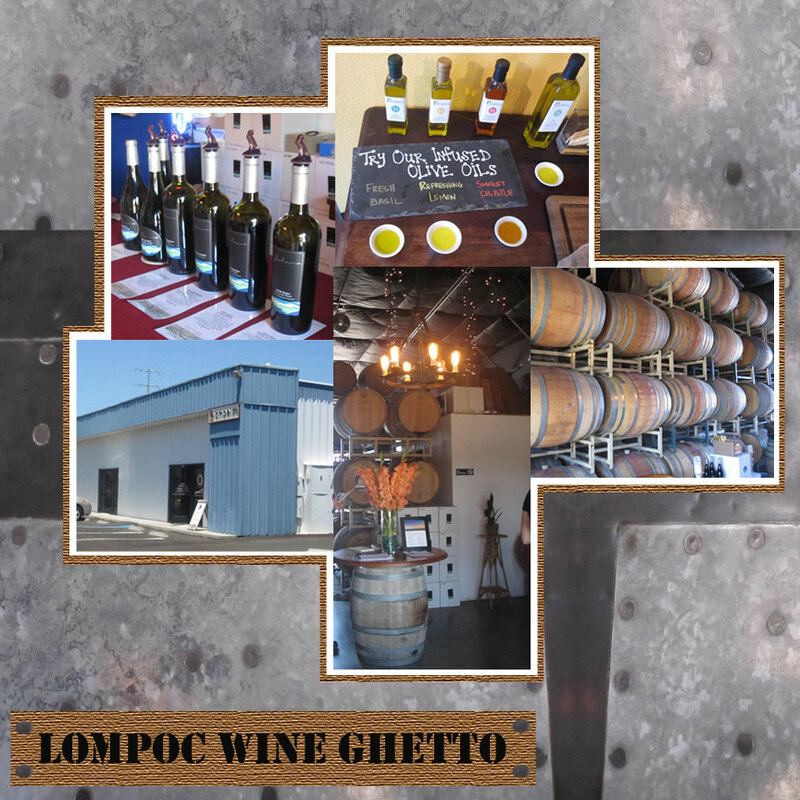 The Lompoc Wine Ghetto consists of 17 wine tasting rooms in warehouses, so the metal background seemed very appropriate. 3. And finally, a few pictures from downtown Solvang! I used the Danish-style building background for this and found red push pins at this site. I’ve used brads, eyelets, and other embellishments on pages I’ve created in the past, but real push pins would obviously pose a problem. I love the cork board look. 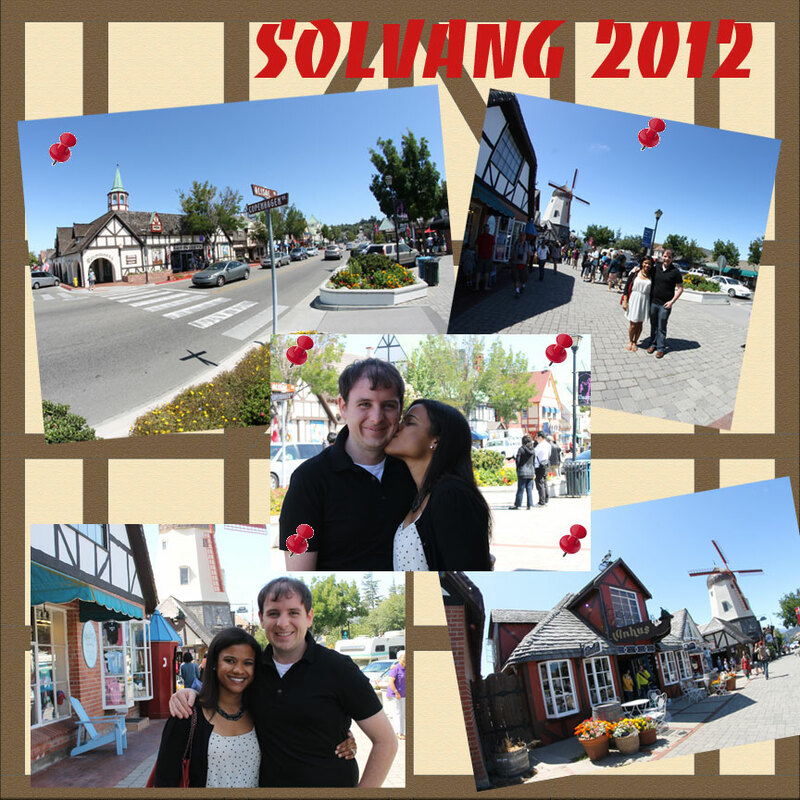 And that’s it for the recap of our Solvang trip over the long 4th of July holiday. We are very much looking forward to all of the other fun trips we have planned this year! 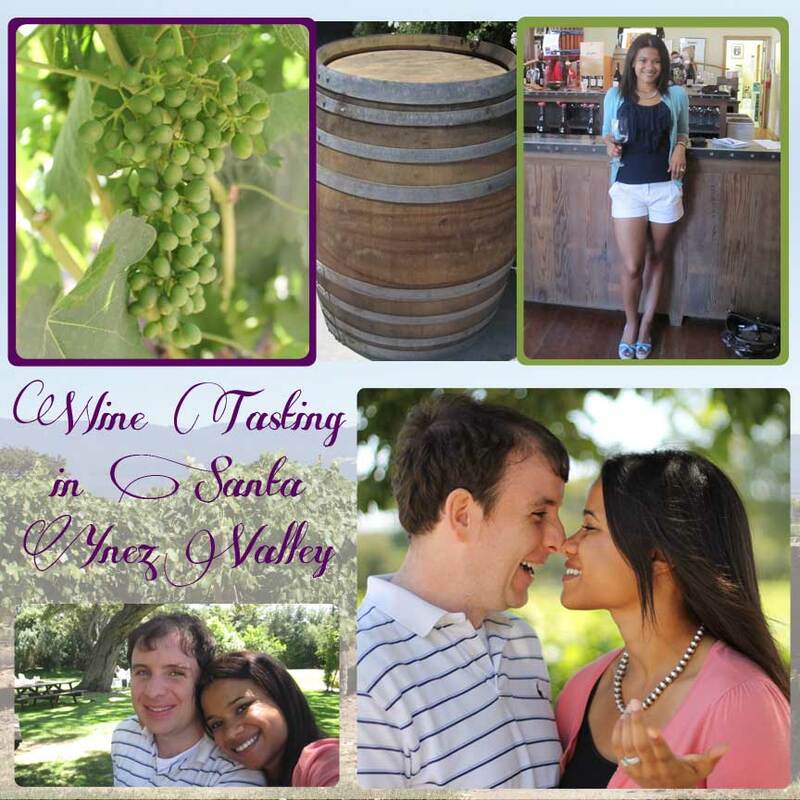 This entry was posted in Digital Scrapbooking, Scrapbooking, Travel and tagged California, digital scrapbook, scrapbook, scrapbook layout, Solvang, travel, United States, wine tasting by Kristin. Bookmark the permalink.